The Exact Mixing FX Continuous Mixer is designed to distribute small amounts of moisture evenly into large amounts of powder. 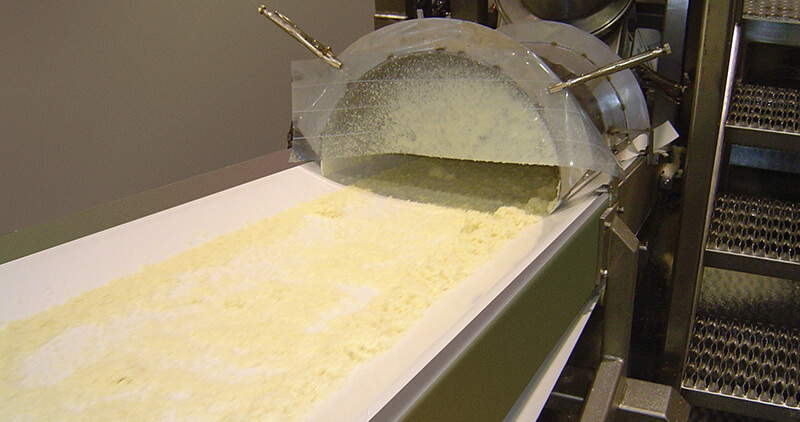 A high-speed mixing shaft lifts powdered ingredients into and through atomized liquids sprayed into the mixing chamber. 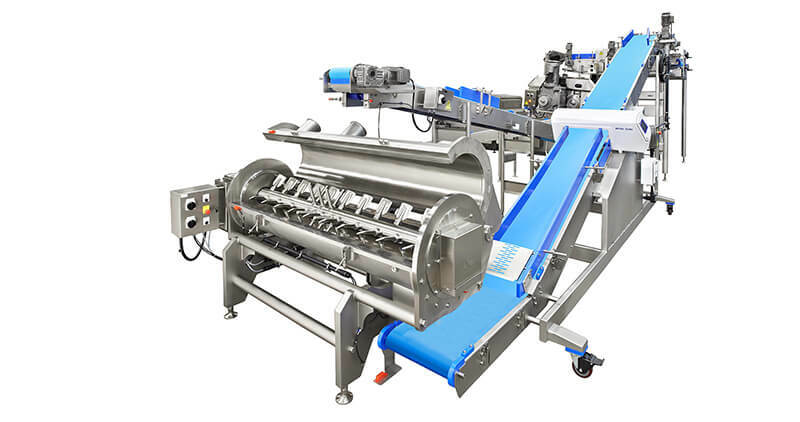 This efficient mixing process is well suited for hydroscopic powders such as potato flakes used to make fabricated potato chips or any other low moisture mixtures. 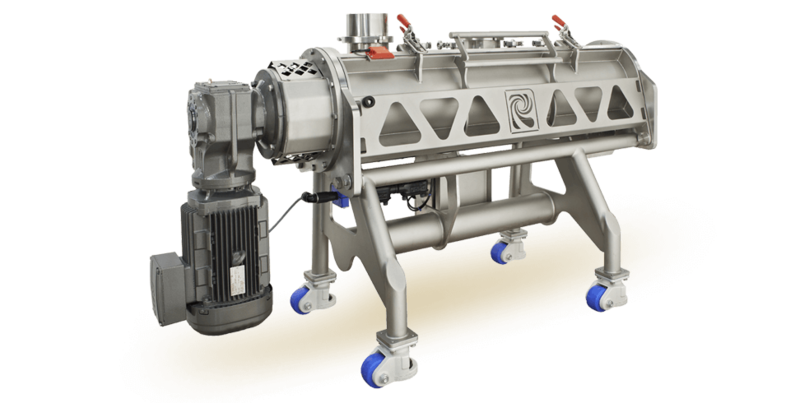 Improve and simplify your process with our continuous mixing systems. The ability to accurately and consistently meter ingredients into a continuous mixer is critical to the quality and consistency of the product at the mixer discharge. 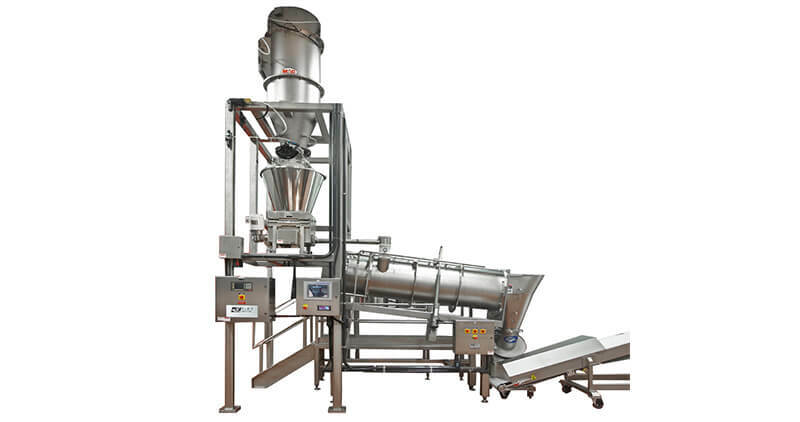 Flow-meters connected to the closed loop control system ensure that the liquid ingredients are accurately delivered in coordination with the dry ingredients. Only FDA approved materials are used in the product zone.